It can be said that “evolution” is the theology of the late industrial age. That man is a sort of animal that has arisen through a roll of the dice, has dominated thought for the last 150 years. The basic mechanism is quite straightforward: – Wholly random and chance variations occur and those that are useful are maintained through “natural selection” or “survival of the fittest”. Come to think of it, this is a reflection of the industrial ethos of Darwin’s time and ours, wherein “start-ups” arise continuously and competition insures that only the “fittest” survive. According to Darwin, all life evolved from a simple organism and branched out in a sort of treelike pattern. The fossil record, on the other hand, shows most animals appearing at, more or less, the same time rather than branching out from a simpler form. The major challenge to the theory of evolution is to explain the large-scale changes that lead from one order or class to another as the transitional forms are absent in the fossil record. There were plenty of examples of transitional forms at the level of genus and species but where are the transitional forms at the level of phylum, class and order? Here is Professor David Berlinski, a deep thinker, offering some brilliant insights into the foibles of Darwinism. As he will explain, not only is “evolution” unable to explain the fossil record, its prognostications have yet to be replicated in the laboratory. Hence it fails on its own scientistic pretensions. We came away with the impression that Darwinism is best understood as a sort of theology of materialism, both primitive and puerile. 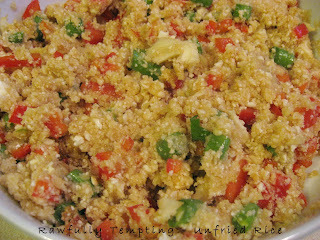 Prepare this delicious dish in minutes and gently warm it in the dehydrator, or, eat as is. It’s colorful, delicious and so very light. I used what I had available, but would add snow peas, fresh parsley, shredded carrots and sprouts. Select your favorite veggies and create this dish your family and friends will adore. 1/4 cup fresh green beans, chopped in 1/4 inch pieces. We make our Organic Walnut Butter from Walnuts grown by Judith Redmond with Full Belly Farm. Judith and her friends are among the finest organic farmers in California. We slice her raw walnuts into a luxurious spread. Try this delicious Walnut Butter on apple slices or carrot sticks, with a few raisins or a little honey drizzled on top. (Natural News) Fracking is a risky practice that is known to have a number of negative consequences. Now a new study conducted by a team of researchers from different universities adds yet another one to the list. Mothers who live near fracked natural gas wells are said to be more likely to give birth to babies with low birth weight, based on data gathered from more than 1.1 million births that happened in the state of Pennsylvania. This is according to a study conducted by researchers from the University of California, the University of Chicago, and Princeton University. According to the researchers, between the years 2004 and 2013, babies that were born within half a mile from fracked natural gas wells had a 25 percent higher chance of having low birth weight. They also found significant declines in average birth weight among these babies. 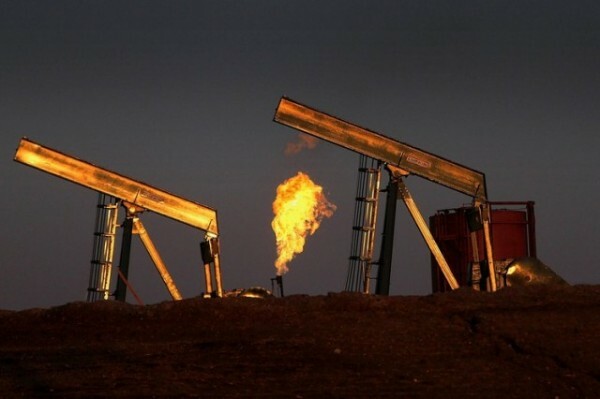 Meanwhile, the researchers said that they found lesser such declines in birth weight — as well as other measures of health in babies — in mothers that lived more than half a mile to two miles from fracked natural gas wells. After checking to see if there were any adverse effects on mothers and babies living at even further distances, the researchers found no evidence of any health effects. It’s just below zero as we trek through freshly fallen snow on an unusually windless early morning, in the high hills above the Gardiner Basin. Taking advantage of the calm air that won’t rock our scopes and cameras, our patrol is on the way to a lookout spot high above Yellowstone’s Stephens Creek buffalo trap. The trap is miles away. The spot we’re at is one of the few places that we can see even a far-away glimpse into the industrial size monstrosity that has entrapped more than 450 of the gentle giants in the past couple of weeks. Yellowstone initiates a massive seven-mile public closure around their trap, obviously wanting to hide the horrible things they are doing to this sacred species, our national mammal. On our way to the lookout, our footsteps squeaking through the freezing cold snow, one of our crew shouts out, “wolves!” We all stop dead in our tracks. To the south of us, we can hear them, the beautiful, haunting serenade of a wolf pack, singing blessing songs to the morning, or, more like mourning songs to the travesty unfolding before us. The wolves know. We get to the lookout spot and it’s as bad as we thought: hundreds of buffalo in the trap, huddled together, eating hay rations, trapped on death row. 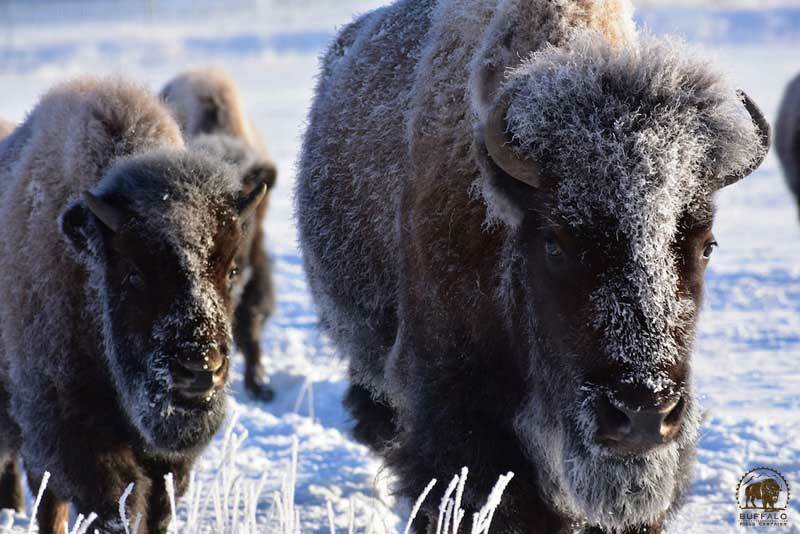 Four park wranglers on horseback, and a white SUV are coming into the northernmost paddock of the trap which holds approximately 60 of the country’s last wild buffalo. This paddock is the veritable end of the line before the buffalo go in even deeper, to places they will never return from. “Genocide,” our Blackfeet brother says. We nod in agreement. The U.S. Government continues the systematic destruction of the sacred buffalo, and for the same reasons, too. Only, these days, instead of Buffalo Bill and Wild Bill Cody, they call it “management” and the killers are the so-called guys in green: Yellowstone National Park. Donning buffalo on their uniform badges, they are the very ones who are obligated to protect the buffalo — the buffalo who are the main reason this park even exists, that people even come here. These “caretakers” are facilitating all of the trapping and most of the killing. As we watch through our scopes and binoculars, eyes teary from the blistering cold, or the pain in our hearts, the wranglers go in for the attack. It’s just another day in the park. Frantic, the sixty buffalo run away from the wranglers, but the only path open to them is the dark corridor that leads into the labyrinth of the trap, towards the bull pen and the squeeze chute, towards the end of freedom and family, into the tiny holding pens where they will spend their last hours in feces and fear, before being loaded onto livestock trailers headed for the slaughter house. The mournful howling continues. The wolves know. We join in.